Helen Correia’s name came up many times when talking to older cousins. She belonged to the Pacheco family, but because she was given away at a young age her story was murky. The names of both sets of parents were lost over time. Helen’s most distinctive feature was her red hair. Because of this, it was easy to see that she might belong to the Pacheco branch known as “The Reds”. Tony Red, Mary Red, and perhaps…Helen Red? They were the children of Joana (Gonsalves Cardozo) and Joao Pacheco. When Joao died of tuberculosis in October 1906, he left Joana 8 months pregnant and with 6 children aged 1 to 10 to raise. It was hard enough to raise a family on a sugar plantation with two parents. Doing it with one was near impossible. Joana had to make some tough choices to save herself and her children. Their oldest son, Francisco, went to live with Joana’s sister, Maria Freitas Bras. Their daughter, Maria, went to live with Joana’s parents. Their other daughter, Isabella, went to live with relatives, Jose and Maria (Jacinto da Camara) de Braga. Three sons, John, Theodore, and Antone stayed with their mother. 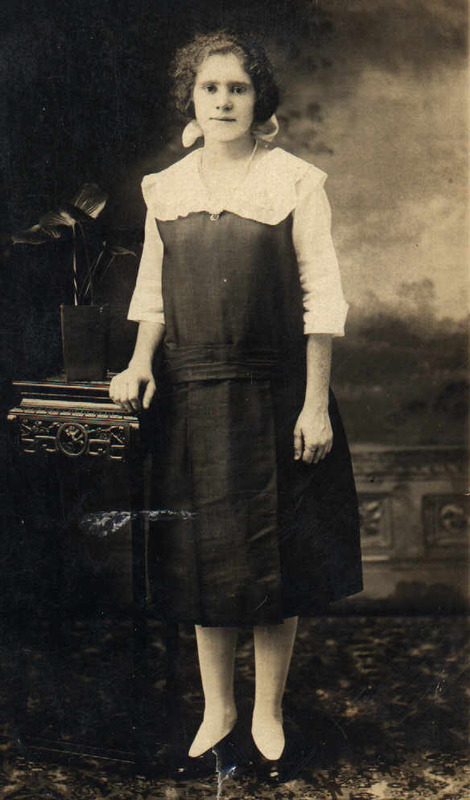 Joana gave birth in November 1906 just a couple weeks after her husband’s death. It was said that the baby was named Helen and that she was given away. Joana remarried and had a second family from her second husband, Januario Fernandes. The children who she gave away stayed attached to the family but stayed with their adoptive parents. Back in those days, communities stuck to themselves and handled family matters within the family. There were legal adoptions outside the family bonds, but not within. Children who were given away were done so as mutual agreement. No paperwork exchanged hands. There would be no adoption papers for baby Helen or her siblings. I was able to learn one clue from the granddaughter of Joao and Joana. Her mother was Isabella who was given away to the de Bragas. Baby Helen was given away to a woman named Zuweena. What the heck kind of name is Zuweena? Was she a fortune teller? At the time I started this research, Isabella was very ill and her memory would come at go. She knew that her sister, Helen, married Frank Correia. But, because her memory was so bad, could I trust that she remembered everyone’s names correctly? 1. Was Helen born to Joao and Joana Helen Correia? 2. Who was Zuweena and what was her real name?